Bisping and Rockhold fought for the first time in 2014, and the latter won via second round, submission. 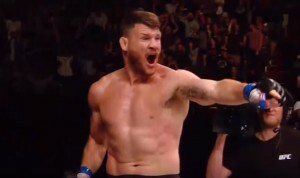 In their 2016 rematch, however, Bisping KO’d Rockhold in the opening round. Bisping is coming off a knockout loss to Kelvin Gastelum in November, while Rockhold was taken out by Yoel Romero last month.